Holy Family BNS, Primary School Carlow, had two fantastic sold out Christmas concerts in the school hall last Monday and Tuesday night. 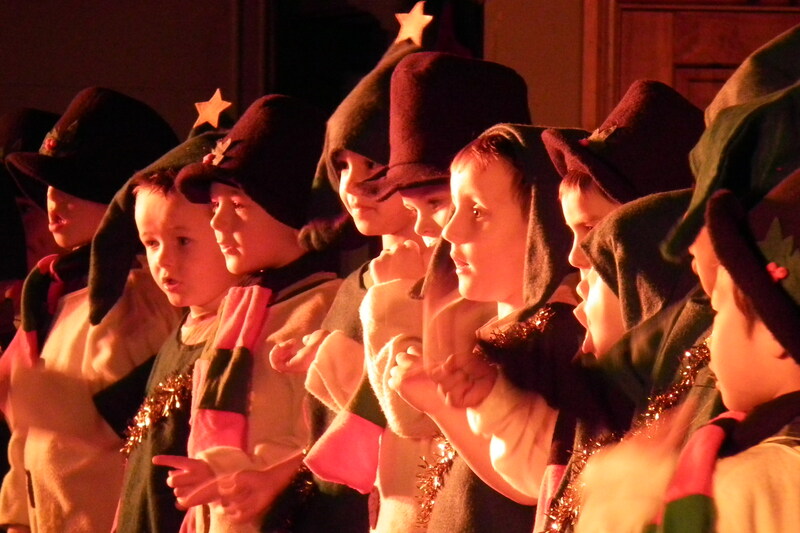 The children put on fantastic performances on both occasions. These ranged from a performance of Scrooge, to Joseph and his Technicolour Dream Coat, Rapping with African Drums, Nativity plays, The Mischievous Days of Christmas etc. The school choir, who had performed so magnificently in the GBS during the week, were just amazing in the school’s Christmas concert. Mrs. Wall, Principal, who made an excellent MC on the night, thanked the wonderful students, hard working staff and tremendously supportive parents, for making such treasured memories for all. Photos of the fantastic concerts can be viewed by clicking on the above links Christmas Concert 2011 Everyone at Holy Family BNS would like to wish everyone a very Happy Christmas and a peaceful New Year.